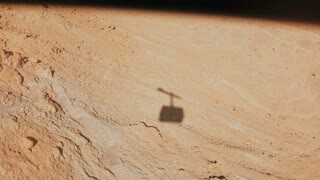 Shadow of a ropeway cabin rising in Masada desert. Aerial cable car going up on a sunny day. Sand and rocks. 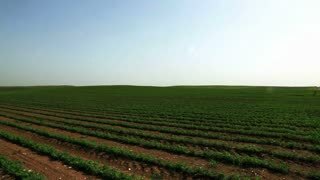 Israel 4K. Woman with backpack walks among ancient walls. Attractive Caucasian female tourist enjoys mountain panorama. Masada. 4K. Girl with backpack looks at mountain panorama. Attractive European woman explores ancient ruins. 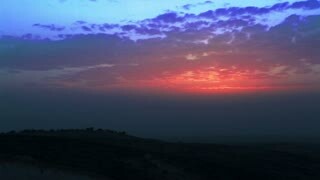 Masada, Israel. 4K. Man with backpack steps on ancient walls ruins. Caucasian male tourist hikes on big yellow rocks. Israel Masada 4K. 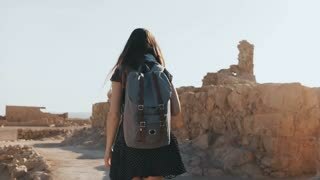 Girl with backpack explores desert ruins. Pretty European female traveler walks among ancient scenery. 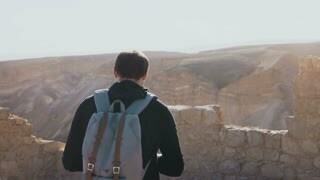 Masada Israel 4K. Cute girl with backpack walks along ancient ruins. Pretty European female tourist explores Israel Masada fortress. 4K. 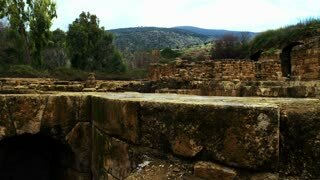 Male photographer walks along ancient Israel ruins. 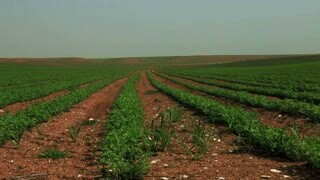 Road to Masada fortress. Young man with backpack takes photos. 4K. 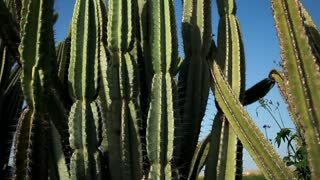 Woman with backpack walks to desert ruins. Young Caucasian female traveler on dry sand, rocks, walls. 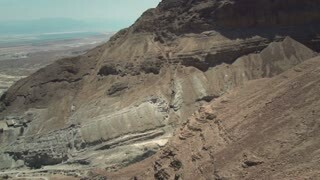 Masada Israel 4K.